What kind of personal information does She Thrives collect and how it is collected? 1) Personal information you provide. We store the personal information you enter on the She Thrives and Thinkific Websites or give to She Thvies in other ways. We obtain most personal information through the She Thrives program registration process and database sign up. You may provide information when you request or acquire information or a service from She Thrives or its related bodies corporate, complete a survey or questionnaire, enter a competition, undertake one on one coaching, participate in forums or when you communicate with She Thrives in person, by email, telephone or in writing (for example if you contact our customer service team or provide feedback). Cookies. We may use a feature of your browser called a cookie to assign your computer a 'User ID'. Cookies contain information by which She Thrives can identify your computer to our servers. You may configure your browser so that you are notified before a cookie is downloaded or so that your browser does not accept cookies. She Thrives may use information contained in cookies to make assumptions about the user of the computer and to provide users of that computer with focused communication or advertising that She Thrives believes may be of interest, based on that information. In some cases a web page might contain more than one cookie, the information gathered from these different cookies are used to build statistical and demographical information which does not identify you personally to advertisers and other third parties for marketing, promotional purposes. To disable your cookies, please refer to the help menu within your Internet browser. However, cookies allow you to take full advantage of some of She Thrive’s coolest features, and we recommend that you leave them turned on. She Thrives endeavours to collect personal information about an individual only from that individual. In some circumstances She Thrives may obtain personal information from a third party. She Thrives may use information it collects from you for the primary purpose for which it is collected and for such other secondary purposes that are related to the primary purpose of collection. How She Thrives uses the information you provide. Personalise and customise your experiences on www.SheThrives.org including sharing relevant articles or programs. Help She Thrives manage and enhance its services. Provide you with ongoing information about opportunities on She Thrives which She Thrives believes you may be interested in. Give you the opportunity from time to time to receive email and 'e-newsletters' from She Thrives. Does She Thrives share the information it receives about me? Information about our clients is an important part of our business, and we are not in the business of selling it to others. She Thrives may provide your information to: third parties engaged by She Thrives to perform functions on its behalf, such as hosting the online program, processing credit card information, mailouts, shipping, debt collection, marketing, research and advertising; and third parties authorised by you to receive information held by She Thrives. She Thrives protects the personal information She Thrives holds from misuse, loss, unauthorised access, modification or disclosure by various means including firewalls, password access, secure servers and encryption of credit card transactions.  The She Thrives program is served via the Thinkific platform, which uses Secure Sockets Layer (SSL) software, which encrypts information you input. It is important for you to protect against unauthorised access to your password and to your computer. Be sure to sign off when finished using a shared computer. Seeking access to the personal information She Thrives holds about you. You have the right to seek access to he personal information held about you and to advise She Thrives of any inaccuracy. There are some exceptions to this right set out in the Privacy Act 1988. If you make an access request, She Thrives will ask you to verify your identity and specify what information you require. How to contact She Thrives.